Canadian seniors that travel are often considered to be snowbirds. It is because they like to enjoy the warmer environments like many of the States have to offer. Furthermore, they will do this through the Canadian winter months. Of course, they want to be sure they have the proper travel insurance. Aside from the snowbirds, many other seniors love to travel. They like to take trips as well. In addition, they too need good travel insurance. 1 What Do Seniors Need to Look For In Their Travel Insurance? 3 What Do Seniors Have to Be Cautious About with Travel Insurance? 4 What Is the Best Travel Insurance For Seniors? What Do Seniors Need to Look For In Their Travel Insurance? Medical coverage when away from home is vital for everyone. Plus, for seniors, they may be more vulnerable to illness or injury. Not to mention they need to know that their medical costs are taken care of if a health issue arises. The insurance coverage should include the cost of transportation to return home if necessary. It may mean that an earlier flight is needed. It is not unusual for a senior to take ill and not be well enough to travel back home in a conventional manner. They may need medical evacuation. It may mean transporting to another region for more specialized care. Seniors should check their travel insurance to make sure this is part of their coverage. It is most distressing for seniors to have their luggage or personal belongings stolen. Most often the baggage contains some of their valuable items or even their medication. Personal belongings insurance helps to reduce the stress of this mishap. There are many times where there is a trip cancellation. Not at the fault of the traveler. Many insurance companies offer insurance that will cover these costs. It is worth having even if one has never experienced this problem in the past. Many seniors love to travel to new places and other countries. As a result, there are in unfamiliar territory. There are times that they may need some emergency help. For example, there may be a language barrier. The senior travelers may need some information but are not able to understand it. The emergency help has a number that the seniors can call. Any good quality travel insurance provider will include this in their coverage. Pre-existing medical conditions is a big hurdle for traveling seniors. It is one part of travel insurance that can get confusing. The age for seniors is sixty-five. Health questionnaires are given to those at age fifty-five in some cases. It is something that a lot of Insurance companies do. These questionnaires may seem intrusive, and some are more complex than others. It is essential to fill in all details. Omitting any of the required health information can result in the insurance being void. What Do Seniors Have to Be Cautious About with Travel Insurance? Travel Insurance can be expensive, and more so for seniors. Based on this many will try and cut corners. Some seniors will shop for that which comes with the lowest cost. They may not pay attention to what they are getting coverage for. It could be they are not getting adequate coverage. They are wasting their money. Seniors need to look for specific things when purchasing travel insurance. The senior must read the policy and understand it. They should ask questions. If they don’t understand something. There could be requirements to buy the coverage a certain number of days before the travel date. It could be ten days or even fourteen days. There should be a period that allows for the insurance cancellation.It should allow for a refund. Seniors need to look at the policy for any exceptions. In most cases, there will be a list of exceptions. These are what the travel insurance will not cover. Waiver of these is possible sometimes. If the insured wants to pay extra. Exclusions are different to exceptions. Exclusions deal with a specific circumstance. For example, if an individual experienced an accident that was as a result of something they did. The exclusion may stipulate that the insurance would not cover this. What Is the Best Travel Insurance For Seniors? There are many different travel insurance companies to choose from. It can be difficult knowing which is the best. There are a few guidelines to help pick a good one. Seniors want to be able to buy travel insurance with as few hassles as possible. There are several travel insurance companies that have made this one of their priorities. Travel insurance can be expensive. There are companies that have different travel plans and packages available with different rates. It allows seniors to have options. They get choices based on affordability. Being away from home is exciting but can also be overwhelming. Some seniors feel apprehensive about being in a strange place. A good travel insurance company will ensure their clients have a contact. It can help a traveler that runs into any difficulties while away. For the snowbirds, they have their organization called the Canadian Snowbirds Association. It is a group that provides snowbirds with a lot of great information. They have also arranged to partner up with a travel Insurance company. It is one that will cater to the senior traveler’s needs. There are other resources for finding good travel insurance. They can begin to do this by getting some quotes for this type of insurance. From there more research is possible through the quotes provided. 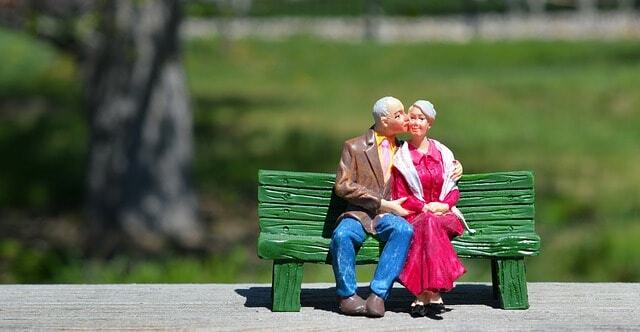 In the end, it will allow the senior to be able to find the best insurance for their particular needs. It will enable them to make informed decisions. Plus, it will present them with more options. Not every travel insurance company is the same. Some offer more packages compared to others. Then some provide better rates. Doing a comparison of what is offered can help.